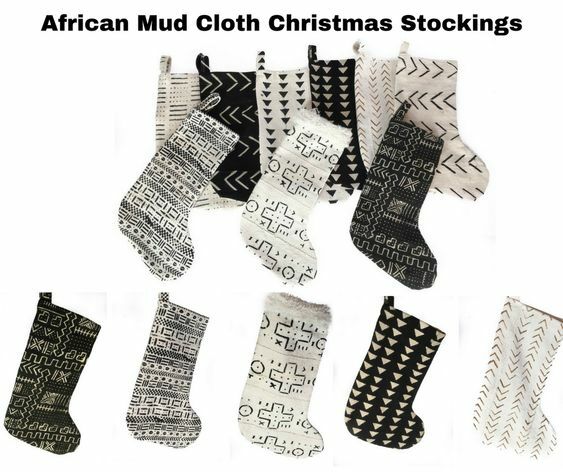 Stylish and unique, these African Mud Cloth Christmas Stockings are hand woven into a whole cloth and hand painted with patterns and symbols with natural dyes, including river mud that has been aged for a year. and make a wonderful gift. Available at Domino! Due to the Handmade nature of the Mud Cloth fabric each stocking may have slight variations or imperfections which adds to the charm.